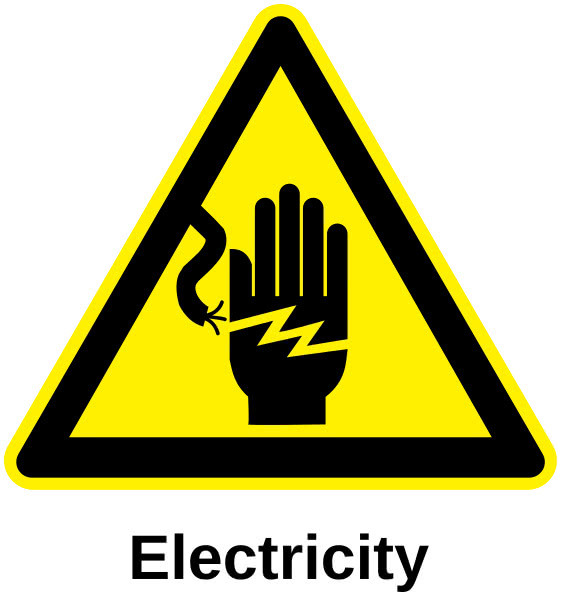 Home >> Lesson Plans >> Lesson Plan: Exploring Electricity! Next Gen Science Standard: 3-PS2-3. Ask questions to determine cause and effect relationships of electric or magnetic interactions between two objects not in contact with each other. We have talked about the different ways that electricity is made. Today, we are going to talk about how electricity is used. Many different devices and things use electricity to make them work. Electricity is what makes electrons move. The electrons then move through the wires and give it power to work. When no electrons are moving, there is no power. A circuit sends electrons to a device and it also takes them out of the device. The electrons need to be able to flow through the device, so circuits are circular. Look at the picture that I drew on the board. The circle shows where the electricity comes from. It pushes the electrons into the device, which is the rectangle. Then, the electrons leave the device and flow back toward to where the electricity came from. Many circuits or devices have a switch so that they can be turned on and off. When a device is turned off, the electrons are not able to flow through it. The device does not allow the electricity to push the electrons. This is how simple devices use electricity. Does anyone have any questions? We just talked about how electricity works. Now, you are going to think of as many different things that use electricity. Please take out your notebooks. You are going to make a list of everything that you can think of that uses electricity. Allow about 10 minutes for the students to make a list of the things that use electricity. Walk around the room and check to be sure that the students are on task and understand what to do.